In 2002, the American electrical appliance retail giant Best Buy made a bold investment, acquiring the largest electrical appliance retailer in Canada – Future Shop – to include it as one of its subsidiaries. Best Buy and Future Shop went on hand-in-hand, to successfully monopolize the home appliance market in North America. Looking to expand its global footprint, the huge potential of China’s consumer market drew Best Buy’s attention. The success in North America gave it the confidence to try the same overseas expansion strategy, that is, to buy shares or directly buy out the major players in the target market, and use the double-brand strategy to take over the market. At the time Best Buy was contemplating their entry into China, the home appliance market in China was dominated by three major players: Gome, Suning and Five Star Appliance. In 2006, Best Buy purchased Five Star Appliance through acquiring its controlling shares, thus formally signaling its expansion into the home electrical appliance market in China, whilst vying for market shares with Gome and Suning. However, as we detail below, the Chinese market expansion plan did not play out as planned; Best Buy suffered significant losses in its first five years in China and eventually withdrew. By 2011, Best Buy closed down all six of its branded stores, 5 years since entering in 2006, and in December 2014, it sold Five Star Appliance to Jiayuan Group, formally bidding farewell to the Chinese market. 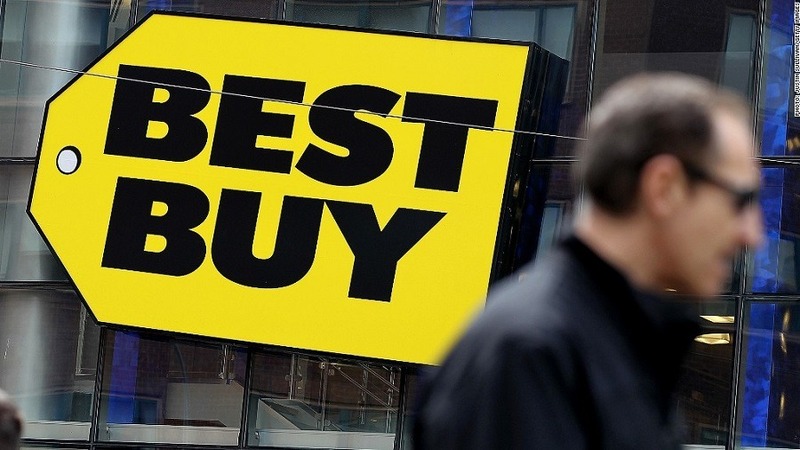 A combination of factors contributed to Best Buy’s failure in China. Most analysts summarize the fiasco under one broad theme: the failure to localize. From a big picture perspective, the failure to localize was reflected in the aspects of management style, market positioning, and pricing, to name a few. At a micro level, localization failures could be seen in factors such as the brand name itself and physical store layouts. You must do market research. An appropriate Chinese name can make or break your launch into China. An example of naming localization done well is IKEA, the Swedish furniture retail giant who has done phenomenally well in China. Its Chinese name “宜家” (Yíjiā), uses Chinese characters which are well received by Chinese consumers. 宜Yí means ‘appropriate’ or ‘suitable’, but is also associated with the character which symbolizes friendship. 家 jiā means ‘family’ or ‘household’. The name gives feelings of warmth, coziness and comfort, all the emotions you want to evoke as a home furniture retailer. Indeed, from a market viewpoint IKEA/宜家 appears to have won the love and affection of many Chinese consumers. In terms of search engine analytics, the name “宜家” and the global name “IKEA” secured 15,000 and 2,000 searches in daily search traffic on Baidu, respectively. The localized version “宜家” is the clear winner. Even elderly people and young children can remember the name with ease. IKEA has gained a strong foothold in China’s competitive furniture and home décor market. By comparison, Best Buy/“百思买” (Bǎisīmǎi) lacks the warmth and ‘good feeling’ that the term “宜家” (Yíjiā) has. In almost 90 days (except during the “Black Friday” discount wars waged by Best Buy where naturally we witnessed a surge in its searching volume) the daily searching traffic of both the “百思买” and “Best Buy” failed to exceed 500. To a local Chinese ear, it is a somewhat unusual sounding name that does not bring any kind of feeling or emotion. “百思买” (Bǎisīmǎi) from a pure transliteration and word-to-word interpretation perspective, “百思” Bǎisī is a transliteration of ‘Best’ and translates roughly in Chinese to ‘think deeply’; “买” mǎi means ‘buy’. At first glance, this combination sounds harmless enough. However, there is a Chinese idiom “百思不得其解” (bǎisībùdéqíjiě), which means “no matter how hard you think, you will never think it out”. So there is a tendency to associate this meaning to the name “百思买”, making it prone to be understood as “think twice before buying”. This is the opposite effect any marketing department wants; for their consumers to think twice before buying. Because of these negative links and the overall blandness of the name, Best Buy/ “百思买” (Bǎisīmǎi) failed to capture the heart and mind of the Chinese consumer. In the aftermath of leaving the Chinese market, a search for “Best Buy Chinese official website” on Baidu yields the first result as the global website of Best Buy, which provides only three available languages: English, French and Spanish. 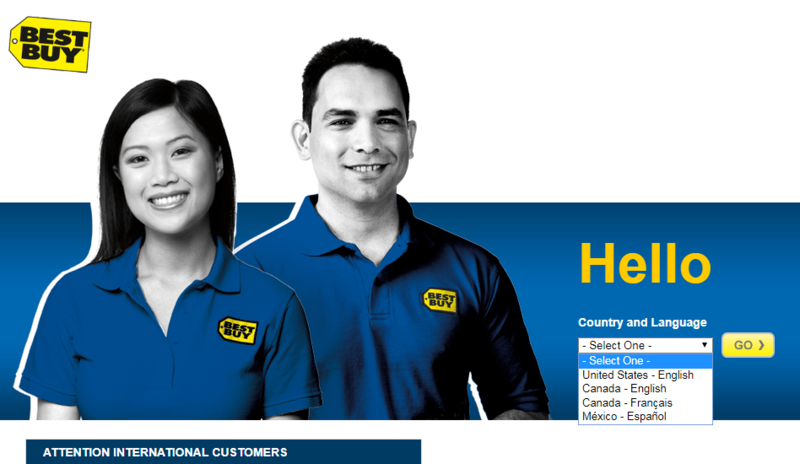 Clearly, Best Buy has given up challenging Chinese market. For an international brand entering into China, simply using a transliteration or literal word-for-word translation of your global name can severely limit your potential success in China. With the Chinese language being so rich in meaning and expressive, highly creative and culturally aware thinking is necessary to both retain the core feel of the global brand, whilst striking a chord with Chinese consumers. For example, if we translate Bayerische Motoren Werke AG directly, it would be 巴伐利亚机械制造厂股份公司 (bāfálìyà jīxiè zhìzào chǎng gǔfèn gōngsī, or ‘Bavaria Mechanical Manufacturing Factory Company’) which sounds very lackluster, and, well, like a factory. Instead, BMW cleverly opted for the Chinese name 宝马 (Bǎomǎ) which translates as ‘precious horse’; the characters carry a very good meaning, conjuring up feelings of warmth, strength, speed and vitality. Coincidentally, the name is also a very clever play on word, sounding similar to 别摸我 (bié mō wǒ), which is a playful way of saying “don’t touch me”. This adequately suggests BMW’s high-end positioning in the automobile industry while implying exclusivity and showing attitude (in a good way). Another great example from a naming perspective is Coca Cola. Coca Cola, the global brand, needs no introduction. The Chinese name 可口可乐 or Kěkǒu Kělè is cleverly very similar in sound to the global name, and also translates to “delicious and happy”; the characters used evoke a fun, joyful and pleasant feeling. Foreign companies wanting to make successful inroads into the Chinese market should proceed cautiously, maintain a low profile and conduct proper market research before orchestrating its China launch. Learn from local competitors, and have a deep understanding of the local market. However, the pressure to conduct deep research has to be balanced against the need to maintain speed as China’s rapid economic growth can mean that data that is one year old may already be out of date. From planning discussions until entering into Chinese market it took Best Buy roughly five years. In these five years China had already undergone rapid economic growth and experienced far too many changes. The retailing giants Gome and Suning had already grabbed almost all of the lucrative commercial zones in the first-tier and second-tier cities and studied the consuming habits and patterns all around China. Best Buy applied their tried and tested business model of paying first and getting products second with its suppliers. This pattern has basically overturned the quasi-financing pattern which is the lifeline for the survival and expansion of local home appliance retailers. The so-called quasi-financing pattern is that retailers use the supplier’s capital before the payment deadline for expansion and competition for storefronts. On the contrary, Best Buy made full payment before getting the products thus transferring the management risks to itself. The cash flow issues that arise can cause embarrassing situations. For most of the domestic electrical appliance retailing stores, the storefront rent and the decoration fees are undertaken by suppliers which in turn will designate their own staff to manage related counters. Best Buy, being cashflow positive at the time of their China market entry, wore the financial hit of rent and decoration on its own balance sheet, and also hiring its own salespersons. However, breaking into the Chinese market can take a lot longer than expected; consumers here are extremely discerning and the phase of building mutual trust can take a long time. Chinese consumers were somewhat suspicious about how aggressively Best Buy were entering the China market, and thought that they were possibly hiring a group of people to sell fake products. Compared to Western countries, China’s domestic market is in some ways still very young. Consumer preferences are very different. With the accessibility of fake products in China, Chinese consumers are even more suspicious and discerning in this product sector, and the importance of brands is the key tool in determining quality. Most consumers walk into the store for the sake of one certain type of product of one certain brand. Salespeople need to be equipped to provide explanations and product knowledge to further instill confidence. However Best Buy applied their standardized store layout plan which truly aggravated Chinese consumers. Chinese shopper would walk in but the layout would not make sense to them, the products were arranged according to brand, and they could not find what they wanted. Even when they located the product they were after, they would find the price higher than expected, and they could make a comparison with Gome, who is just a block away; it was therefore easy to give up on this foreign brand without hesitation. China is different from North America in terms of what consumers prioritize. In North America, consumers generally value experience and customer service and most would happily pay for a premium for this experience. However, in the minds of consumers in Mainland China, price is the key determining factor for whether they will buy the product or not. Chinese consumers are notoriously price-conscious. The product prices in Best Buy were 20% higher than its competitors such as Gome. Perhaps naively, Best Buy believed that the global brand and customer experience would be the attraction to Chinese consumers. This was not the case. No matter how comfortable Best Buy tried to make the shopping experience or how friendly the staff were, price was always going to be an important factor. Best Buy eventually dropped their prices to be competitive and adapted to the local market’s traditional pricing war model. At the time of Best Buy’s foray into China, JD.com began to set foot in E-commerce. Although its functions were not as comprehensive as today, it dominated online retail for home appliances. Compared with the delayed optimization of large international websites, JD.com enjoys a huge advantage as a domestic company. Website modification and optimization is swift and efficient. JD.com followed the market trend in China to implement a series of campaigns, and were quick to seize opportunities. JD.com’s aggressive marketing campaigns and fast-growing user base were a huge threat to Best Buy’s ‘bricks and mortar’ retail model. Furthermore, JD.com had a strong logistics network which made online purchasing and delivery of your product a fast, painless and mobile-friendly process. Price-driven Chinese consumers were therefore more than happy to wait one or two days before receiving their good, by purchasing online, in exchange for a cheaper price. The opportunities in China are mammoth, but equally so is the potential to fail. In terms of branding and naming localization, bear in mind that the Chinese language is incredibly emotive and each character carries a lot of meaning. Simply trying to put characters together that make logical sense in English, but lack meaning or emotion in Chinese, will fall flat amongst Chinese consumers. Business strategy, product suites and store layouts are also vital considerations in your localization strategy. Partnering with the right advisors who truly know the local environment, market behaviors, and how to tell a story that resonates with Chinese consumers is the key to succeeding in the dynamic and ever-scalable market of the Middle Kingdom.